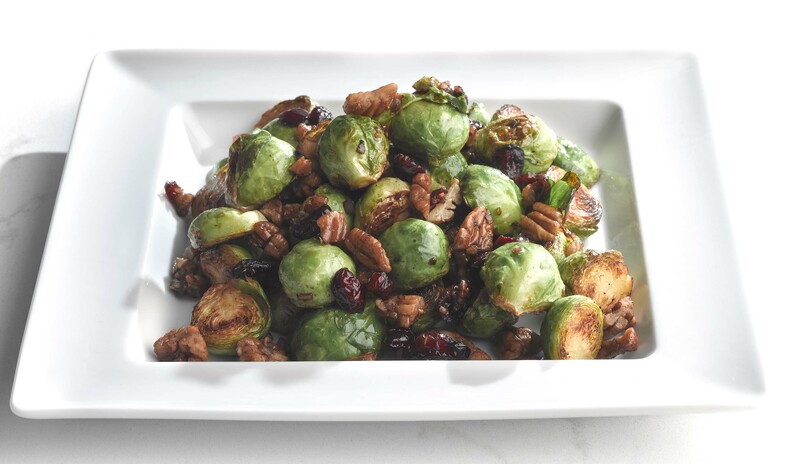 Using a large baking sheet, toss Brussels sprouts, pecans, cranberries, oil, garlic, shallots, salt and pepper. Place Brussels sprouts cut side down on the baking sheet. Roast all ingredients for 25 minutes or until golden brown. Toss with balsamic vinegar and serve.